How well do you know the universe's best-dressed feline? 1. What was Lister's name as the cat people's god? 2. What colour should the hats have been at Fuchal's doughnut diner? 3. Which of the Cat Priest's paws was black? 4. Which cat was mother to the entire felis sapiens race? 5. Which of these is not a Duane Dibbley accessory? 6. The High Cat finds clothing a distraction - from what? 7. What drink does the Riviera Kid order? 8. What is the name of the young boy the Padré has been nursing back to health? 9. In which episode had Terrorform's yellow zebra coat first appeared in a different colour? 10. Which book provided Danny his initial research for the character of Cat? 11. 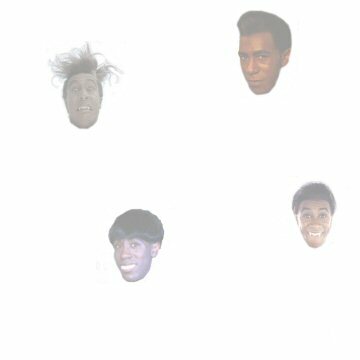 In how many individual episodes has some version of Duane Dibbley appeared? 12. The old Cat in Out of Time was actually wearing a jacket from a previous Red Dwarf series - which one? 13. In which episode does Cat not say: What is it? 14. In which episode does Cat say: Rubber trousers held down with bicycle clips - wow! 15. In which episode does a character say this about Cat: He does all that stupid, sciency brain-box-type stuff ? 16. In which episode does a character say this about Cat: Pity he's only smart when he's made of plasticine ?